Most builders, especially mass production builders, build to the Ontario Building Code standards only; meaning that they build to the minimum acceptable standards, equating to more profits for them. In Supplementary Standard SB-12 Energy Efficiency For Housing, March 15, 2013, update, you can see those rules up to date. If, when thinking about buying a new home, energy and water efficiency are high on your list of priorities, there are many options available to better those standards. Apart from saving you money, energy efficiency will result in a more comfortable home for you and your family. It is also the most important step you can take to reduce your home’s impact on the environment. The following is a list of common energy upgrades and their costs. As a base example for cost purposes, we used an average new home in Southern Ontario of approximately 2000 square feet, priced at $400,000.00 plus the cost of the lot. At the time of this article, the Ontario Building Code prescribes R-22 in the walls and R-50 in the ceiling. Below-grade basement slab does not need to be insulated. 1.) You can insulate under the basement slab. 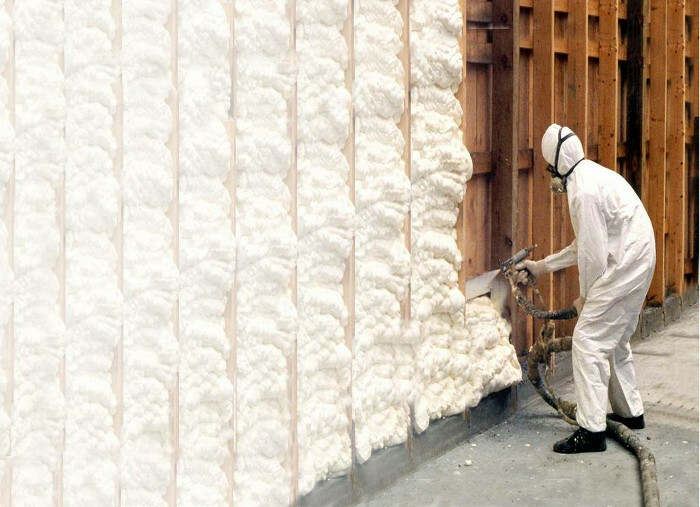 Typically it would be R-10 EPS Styrofoam insulation at the cost of approximately $3,500.00 extra to supply and instal. 2.) You can beef up insulation in the walls by spray foam insulation. That would set you back approximately $8,000.00 and make your walls airtight. For about $6,000.00 more, you could insulate first 2 inches of your ceilings with the same stuff, which would give you a complete control of the air coming into your home. Apart from windows and doors, your home would be completely airtight. The difference in price between fibreglass insulation, typically used in houses, and spray foam insulation is approximate $9,500.00 per house. 3.) You could even go so far to build your new home with the newest technologies like insulated concrete forms (ICFs) or structural insulated panels (SIPs). With these techniques, it is possible to get the walls to perform as high as R-50 for the above-mentioned home. However, that would set you down another $30,000.00 to $40,000.00. Some say that windows can account for up to 25 percent of total heat loss in a house. Energy-efficient windows, doors, or skylights could reduce your home energy costs by 7 to 12%. Window performance is measured in a “U” value. It is referred to as an ‘overall heat transfer coefficient’ and measures how well windows transfer heat. A low U-value is a sign of high levels of insulation. 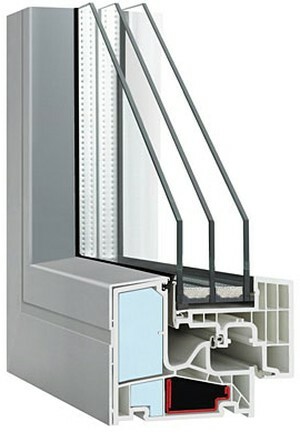 The higher the U-value, the worse the thermal performance of the window. Decrypted into R values a good triple pane windows will be in the R-5 through to R-7 range, although some window manufacturers make a dual pane window with R-5 through R-9 (very expensive). R-Value is only ONE part of the equation. Windows must also be AIR TIGHT. A leaky window in winter will let in the cold and let out the warm air. The reverse is true in summer. The other part of the equation is SOLAR GAIN. If you are in a heating dominated climate, having a lot of south facing windows that have a high SHGC will help heat your home during winter. Upgrading those windows from the ones prescribed by the code will set you back from $5,000.00 to $10,000.00. 3.) Improved Heating and Cooling Systems. 65% of all Canadian homes are heated with forced-air furnaces. Of these, two-thirds are fired by natural gas, while the rest are fired by oil or propane. These systems are popular for a number of reasons, notably their ability to heat the house quickly and the fact that their ductwork can also be used for air conditioning during the summer months. In addition, a forced-air furnace can be equipped to multi-task as an air filter, humidifier, and fresh air ventilator. The downside of forced-air systems is that it can feel drafty because of the air blowing out of the vents, which also may circulate dust. Ducts can carry noise from the furnace and blower throughout the house. For the new homes being built since 2012 minimum furnace efficiency is at 90%. This means that, for every dollar, you spend on fuel, 10¢ goes up the chimney in the form of exhaust gases. Can we make this better? 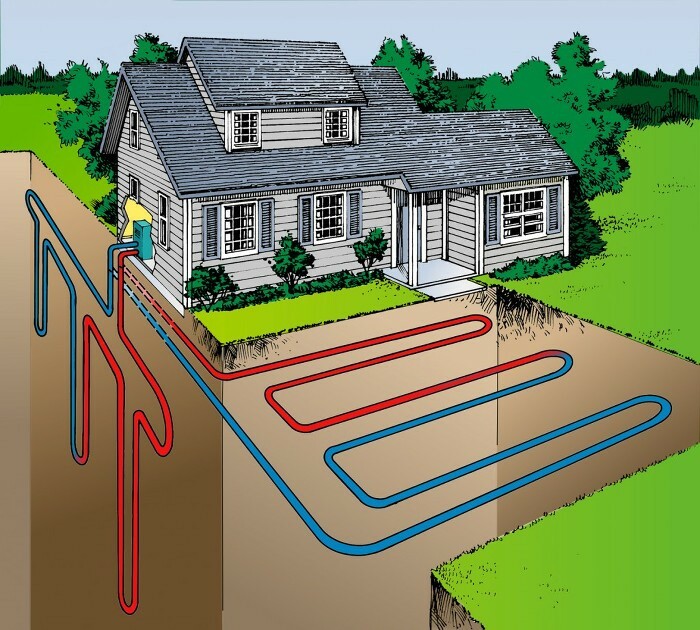 Geothermal heating and cooling systems take advantage of the stable temperature underground using a piping system that circulates water to exchange heat between your home, the ground source heat pump, and the earth, providing heating, cooling, and some of hot water at remarkably high efficiencies. It is supposed to save you at least 50% of your heating bill. Additional cost for your new home: $20,000.00 to $30,000.00. Heating water accounts for approximately 25 percent of the average home’s energy budget. Some makers of gas-fired tankless water heaters claim their products can cut your energy costs up to 30% over regular storage heaters. The main advantage is that they eliminate the extra cost of keeping 40 to 50 gallons of water hot in a storage tank, so you waste less energy. They also offer a continuous supply of hot water, which is ideal for filling a big hot tub or a whirlpool. They’re more compact than a standard water heater and mount on a wall. Some of them can also be used as a space heaters at the same time as they heat portable water. The efficiency in some condensing units goes as high as 99%. There are many different makes and models, starting at about $1,500.00 and going up to $5,000.00 for a more sophisticated unit. Also called solar domestic hot water systems can be a cost-effective way to generate hot water for your home. They can be used in any climate, and the fuel they use, the sunshine, is free. The energy you can expect to save by switching to a solar water heater depends on several factors such as the size of the collectors and storage tank, appliance efficiency, amount of sunlight in your region and the quantity of water you use. A typical solar hot water system will reduce annual energy costs by 40 to 70 percent. There are many different systems and models available, and the cost is reasonable. Depending on a system, the cost for a new house will range between $5,000 and $10,000.00. The best heating system a house can have is the one you don’t realize is there. No radiators clanking in the night. No vents whooshing like a jet preparing for takeoff. No dust-spewing ductwork to run up your allergists’ bills. Just an even blanket of heat, right where you want it. That’s the appeal of radiant floor heating. 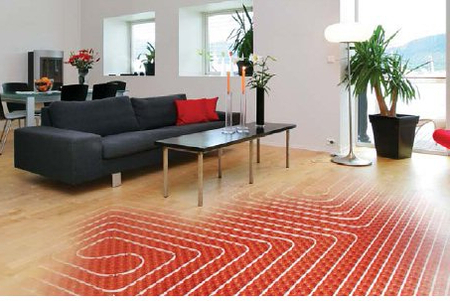 In a radiant setup, the warmth is supplied by hot-water tubes buried underneath the floor. As the waves of thermal radiation rise from below, they warm up any objects they strike, which radiate that captured heat in turn. Though the air temperature remains relatively constant, you stay comfortable because the surrounding surfaces aren’t stealing warmth from your body. Not only does radiant floor heating keep your toes warm, but it ensures that the rest of your body will be kept at a comfortable temperature as well. Setting up a hydronic heating system costs more than much more than forced air. One of the factors affecting the cost of an in-floor radiant heating installation is the method that will be used to heat the water. Industry claims 30% savings on your heating bill, at the extra cost for the new installation around $20,000 to $30,000 depending on the system used. Similarly, water efficiency will result in lower costs and better use of resources. It is a hedge against future increases as many municipalities look to update decaying infrastructure, with users likely being asked to shoulder some of the cost. The starting point for home buyers is low-flow toilets and faucets, as well as water-conserving landscaping. If you are interested in taking water efficiency further, talk with your builder about grey water recycling and rain collection for non-potable water use. Almost all new bathroom and kitchen fixtures come with water saving features. Cost is usually negligible. There is a vast selection of resource-smart products that give you the look and function you want while reducing the impact on the environment. This includes products made from recycled waste or from easily renewable or well-managed sources; locally produced products, and products with a longer lifespan. Ask for details, so you know if a product is truly green and better for the environment. As a rule, a smaller home uses less energy than a larger one of similar age. Attached homes like duplexes, row houses, and apartments use less energy on a square footage basis than single-detached homes. Sometimes bigger isn’t necessarily better. Look for a home that gives you space you and your family need, but think twice about going too big. Depending on your family’s needs, aim for 500 square feet per person. Look for homes that have an open plan or can be easily renovated to create an open plan in the main living areas. Open-plan homes feel more spacious even with a smaller total square footage.